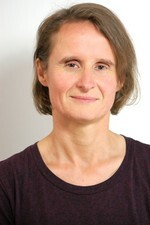 Sandra Leitner is Economist at wiiw. Her areas of interest and expertise revolve around the economics of innovation and technical change and related areas like growth and business cycle theory, labour and capital markets, entrepreneurship and investment theory. She specialises in applied micro-econometrics and possesses an in-depth knowledge of and expertise in national and international firm-level datasets. She has been involved in several EU framework projects (e.g. MICRO-DYN, WIOD) as well as projects for the EU Commission on issues of innovation and employment. She holds a Ph.D. in economics awarded by the University of Maastricht, the Netherlands, and an M.Sc. in Contemporary Asian Studies from the University of Amsterdam, the Netherlands, and is lecturer at the Johannes Kepler University Linz as well as at the University of Vienna, Austria.